An economist by profession, Truls Stokka is many other things. He is a teacher, a social network portal owner, a photographer, a professional Magic: The Gathering player who joined pro tours and world championships, and a vampire fan who is well known for his Victorian era clothing business. "I have always loved vampire legends, books, and movies. As a kid I admired Bram Stoker's Dracula and Interview with the Vampire. I've always been in awe of their outfits especially those worn during the Victorian, Baroque, and Rococo era. This inspired me to make and design 'vampire outfits' as a hobby," Truls said. The Dracula outfit-making hobby started in 2007. When he grew tired of designing men's clothing, he eventually expanded to womenswear. 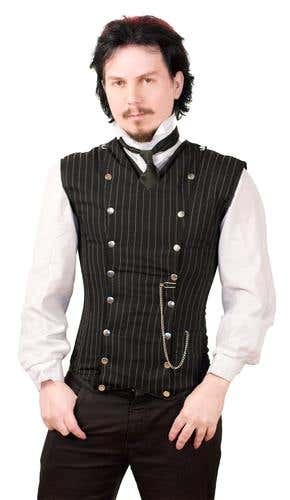 Two years later, he gave up his then job as an economist to focus full time on designing vampire-inspired outfits. The female market was so large that he decided to set up a business. "The corsets did it. 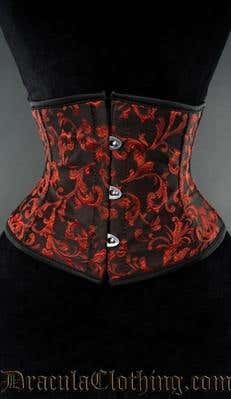 At the time, corsets were so expensive that most women can only afford one. I was the first one to offer it in a much lower price. Then I predicted that girls would want more than one basic corset so I worked on different designs and offered it in varying colors." His major challenge in the beginning was finding the suppliers. He had to go through at least 100 different ones before he was happy about the products. He found factories in Pakistan and China but favored the former because of the quality of leather and cotton products. Soon, Truls said they'll start producing more in Europe as logistics is easier. As the demand rose, the clamor on social media was on fire too. Dracula Clothing's Facebook fan page was the busiest, boasting over 373,000 fans. As a result, Facebook was the largest driver in sales and website traffic. To make visiting the website, DraculaClothing.com more worthwhile, Truls wanted to create something fun, entertaining, and interactive. "I came up with an idea of making a dress-up doll website using the outfits we sell. It's not only fun, it also makes buying easier for the customer as they can mix and match outfits to find desirable combinations." Having tried Freelancer.com, Truls didn't think twice of posting on the platform for his dress-up doll site. DraculaClothing.com was created back when the site was called GetAFreelancer.com. He used the site whenever he needed developers and graphics ever since. Truls availed of Freelancer.com's Recruiter upgrade and was matched with Tekrangers, a freelancer from India. "The recruiter did the screening of the bids and chose the one she thought was best. It saved me a lot of time and I'm sure she did a better job than I would have." The freelancer was amazing to work with according to Truls: "We had daily conversations on Skype. He kept me updated on what he was doing, and would always find solutions himself. Layering the outfits in a great way was pretty challenging, but he solved it." After the project was completed and he was paid, Tekrangers stuck a bit longer to make sure there was no problem. A day after DraculaClothing.com/dressupdoll went live, positive feedback already poured in. Excited users immediately made and shared their own outfit designs. It also increased Truls' sales as customers can add the entire outfit into their shopping carts. "The new site also saved our small team time in promoting every new release," said Truls who designs, photographs, and markets the outfits. "We've always been hard at work, but this business gave us the opportunity to be free and be wherever we want to be in the world. I, for one, have the freedom to work in Thailand or China in the winter, Oslo in the summer, and Prague in between."